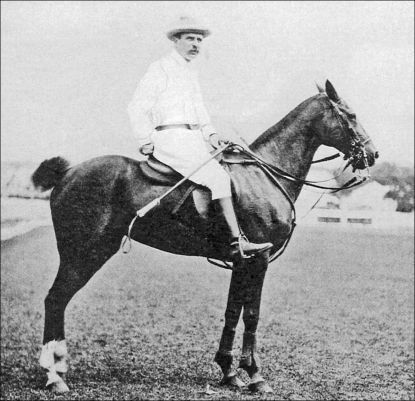 Much has changed in the modern game of polo since a certain John Watson returned from India in 1884 and proceeded to teach players how to combine and play for their sides instead of for themselves. Prior to his arrival on the scene the method of play was for one man on each side to be goalkeeper and for the others to play forward in a heap, hitting the ball as often as they could and keeping the ball to themselves. Watson introduced the now familiar ‘riding off’ and the positional play still used today. The game of polo was exported to America and later Argentina, their influence adding to and improving the game to the one we all know. We like to think that John Watson would have approved of Arena Polo and would be an avid supporter of Polo Wicklow. 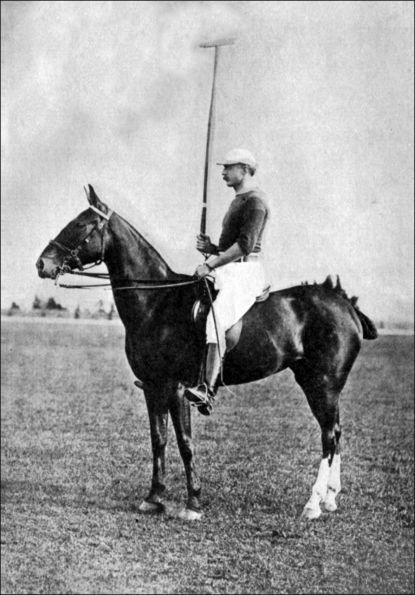 The first recorded polo match played in Ireland was in Co. Carlow, in 1872, with the All Ireland Polo Club (Dublin) being founded later, in 1874. One hundred and twenty one years on, the first Arena Polo match was played in Ireland in Co. Wicklow, in 1993, and the same year Polo Wicklow with its two grass fields and full sized arena became the only facility offering both grass polo and arena polo for twelve months of the year. Advantageously positioned on the East Coast of Ireland 30 miles south of Dublin, the influence from the Gulf Stream ensures that the area has no extremes of weather, polo has only been cancelled once in 25 seasons due to snow. At the end of the grass season the polo addicts transfer immediately to the arena season. The management of the ponies has changed due to the ‘twelve months’ season, firstly the Professional player and the grooms have a permanent job and the care of the ponies is continuous. We have six Argentine grooms working for us and keeping the horses in top condition throughout the year. Following the system of care pioneered in America our ponies have regular short breaks during the year, they do not loose condition and there is no need for a rigorous fitness program when brought back in to work. All the visiting players have commented on the quality, ability and well being of the horses now in their twelfth year of this regime. At the end of the grass season the polo addicts transfer immediately to the arena season. The management of the ponies has changed due to the ‘twelve months’ season, firstly the Professional player and the grooms have a permanent job and the care of the ponies is continuous. This year we introduced the rule of continuous play after a ball has been scored, which makes the cam much more exciting for not only the players but also the spectators. A fair amount of spectator power was influential in these decisions as the spectators role in Polo Wicklow is vital and they too are entitled to enjoy the game as much as the players. The chukka length is reduced to 6 and a half minutes to take into account the continual play. In general it is most important to ensure that the fast flow of Arena Polo which makes the game so special to play and exciting to watch is preserved and the game is played with a minimum of interruptions.